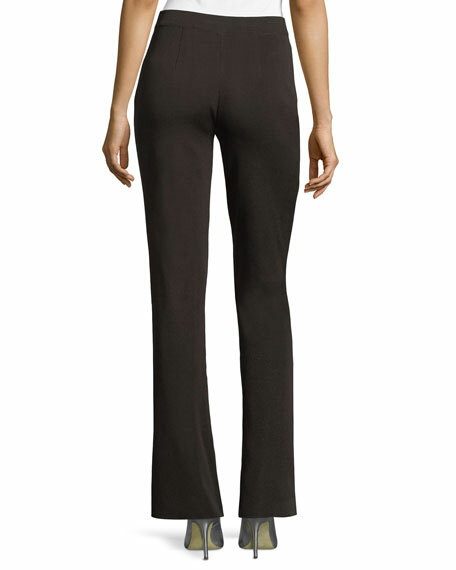 Wrinkle-resistant Misook "Casey" knit pants in versatile, flattering fit. Approx. measurements: 13" front/15" back rise; 31" inseam; 44" outseam; 22" leg opening. Relaxed legs slightly flare from knee. 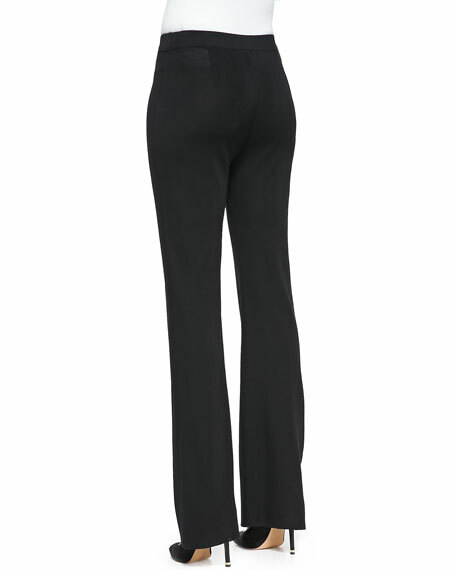 Pull-on style with elastic waist.